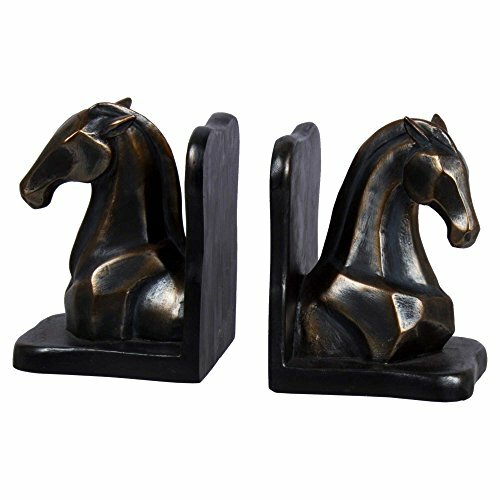 The Trojan Horse Bookends are a majestic addition to any bookshelf or coffee table. Add a touch of Greek mythology to your bookcase, with these bookends that are weighted to successfully hold up books on any flat surface. They are made of Polyresin and coated in a bronze finish. This is a 2-piece item set. Comes with a black box, great gift for anyone! If you have any questions about this product by Truu Design, contact us by completing and submitting the form below. If you are looking for a specif part number, please include it with your message.